£63m was gambled and £2.9m was lost in FOBTs (Fixed Odds Betting Terminals) on the Isle of Wight last year according to figures published by Howard Reed of Landman Economics. Data released by the Campaign for Fairer Gambling and the Stop the FOBTs Campaign reveals that staggering amounts of money is being gambled and lost in FOBTs (Fixed Odds Betting Terminals) on the Isle of Wight. The campaign has released what they refer to as ‘best estimates’ (by Howard Reed of Landman Economics) about the amount of money being gambled on the touch screen electronic gaming machines found in betting shops across the Island. The sort of games appearing on the FOBTs includes Roulette, Poker, Black Jack, slot games and virtual racing. Up to £100 per spin can be bet every 20 seconds on casino games. According to their Website, the Campaign for Fairer Gambling “wants the maximum stake on FOBTs reduced to £2 spin to bring them in line with all other gaming machines in the UK”. They say they’re aiming to gather public support to put pressure on the Government to take action on the “crack cocaine of gambling” – which are available in betting shops on every high street. 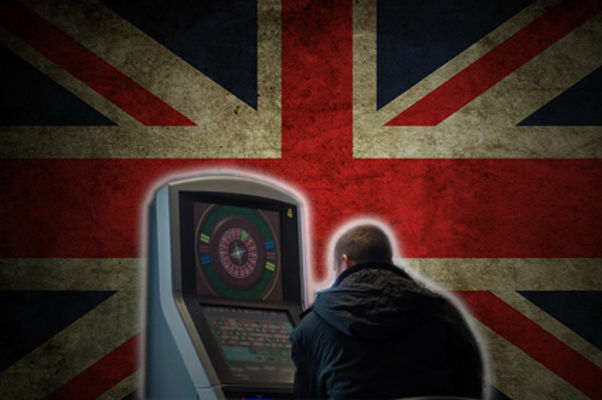 4 Comments on "A staggering £63m gambled on Isle of Wight high-stakes gaming machines in 2016"
Bookmakers deliberately target areas where there is poverty and deprivation and people are more vulnerable to a hint of a get rich quick scheme. Governments do not prevent this. Private Eye (1451, p.9) now reports that the government is delaying it’s review of FOBTs, and that the decision may be influenced by the amount of tax received from bookies/ lobbying by bookies/ donations to the Cons. by directors and shareholders of high street bookies with FOBTs.